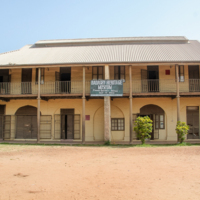 The Badagry Heritage Museum is housed in the former district officer’s office that was constructed in 1863. The museum attempts to highlight the injustice and horror of the transatlantic slave trade, whilst also exhibiting the rich histories and cultures of Africa. There is a specific focus on the heritage of pre and post-transatlantic slave trade in Badagry. 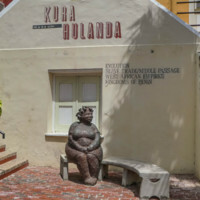 The museum consists of eight galleries each dealing with particular themes relating to local heritage and the transatlantic slave trade. Guided tours are available. The museum is managed by the Nigerian Cultural Commission.Each of eight galleries are named after a part of the transatlantic slave trade. The first, the 'Introductory Gallery', focuses on the founding and early history of Badagry. The next five galleries all deal specifically with distinct phases of the slave trade, from capture, transportation, material culture, resistance, and industry. In these galleries are objects that illustrate the brutal nature of enslavement, including shackles and manacles, as well as replicas of slave ships. The seventh gallery examines the forced integration of the enslaved into the countries they were transported to, featuring videos of reconstructed slave auctions. Finally, the last gallery explores abolition movements and the persistence of slavery even after its legal end. 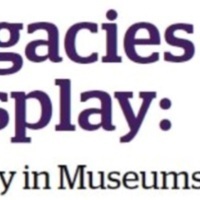 The museum has attempted to incoporate the voices of local people within the displays, as well as depicting the significance they place on certain cultural and historical items within the museum. In addition to the historical collections, there are also some examples of contemporary art throughout, showing modern reflections on the systems of enslavement. The Angolan National Museum of Slavery (or Museu Nacional da Escravatura in Portugese) was founded by the National Institute of Cultural Patrimony in 1997. Its main aim is to depict the history of slavery in Angola. 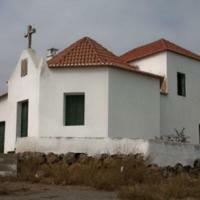 The museum is situated in a chapel which once belonged to Álvaro de Carvalho Matoso, one of the largest Portugese slave-traders in the eighteenth century. It is also next door to Capela da Casa Grande, a seventeenth-century structure which was once used for baptising enslaved Africans before they were shipped to the Americas. 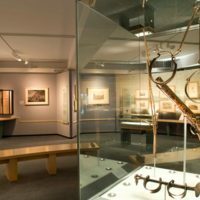 The museum has a large collection of items that were utilised in the slave trade, as well as items relating to African culture pre- and post- transatlantic slave trade and a vast photography collection. Situated 15.5 miles outside the city of Luanda, the museum forms an extraordinary landmark along the "Slave's Route." While the museum itself is realtively modest, it's aim is a big one; 'it is a testament and a reminder of the history of the Angolan people who lived in the day of slavery and it stands as a monument to those who suffered and were affected by slavery.' The narrative in the museum focusses predominantly on Portugal, the main European slave trader in the Angola region. It provides a contextual history of the Atlantic Slave Trade, as well as highlighting slavery in Africa before the involvement of Europeans.